Sighthound martingale collars, also called half-choke or humane choke collars, give you extra control and security by preventing your hound from slipping out of the collar and escaping. They are ideal for all sighthound breeds from the smallest Italian Greyhound to Saluki and the largest Irish Woolf hound. 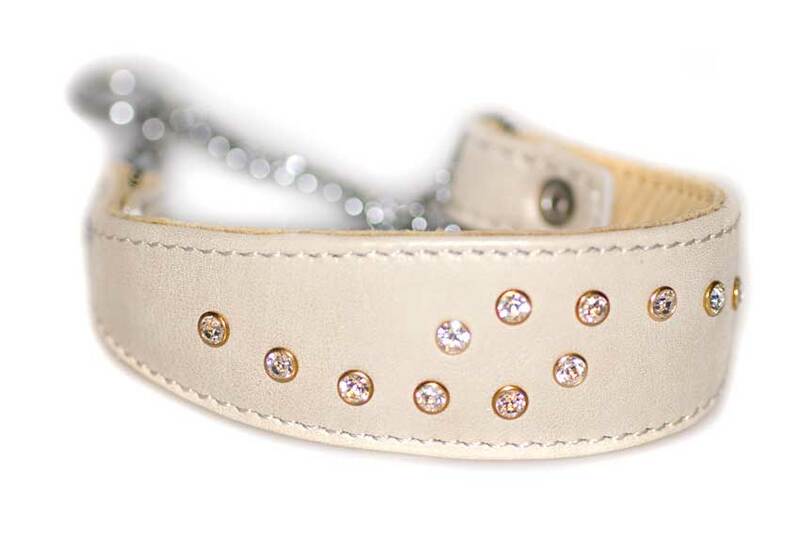 This beige leather martingale sighthound collar is fully lined in softest cream leather and is fully padded for ultimate comfort. 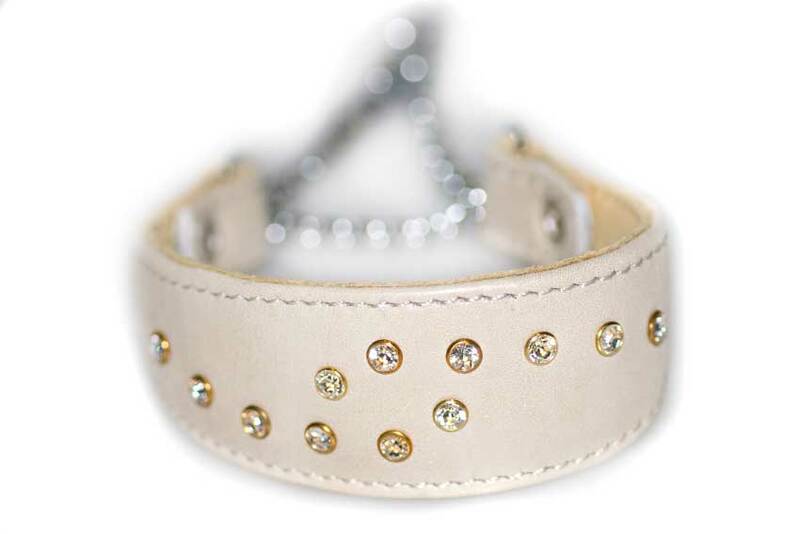 Currently this martingale collar is available in sizes XXS, S and L to fit Italian Greyhounds, Whippets, Basenjis, Salukis and puppies of sighthound breeds. 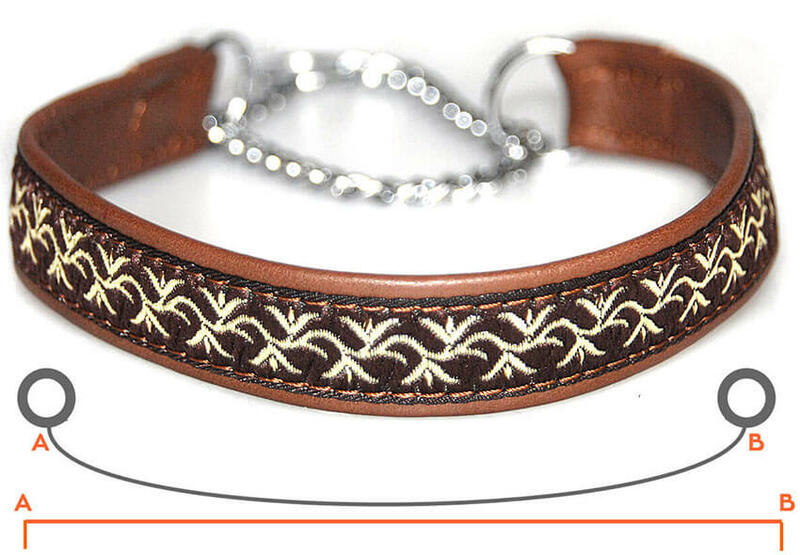 Decorate your hound's collar with one of our exclusive collar tassels and save £5.00 off tassel price. 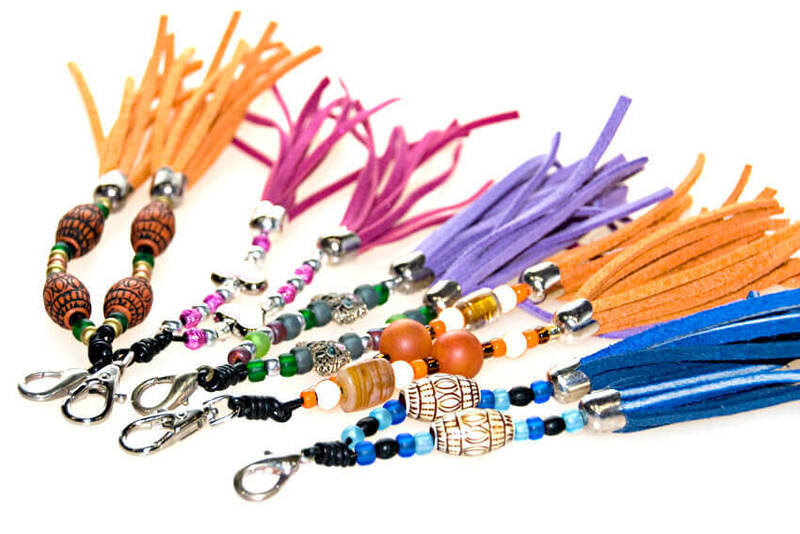 Dog Moda tassels are designed and handmade exclusively by us in the UK. The martingale hound collar and leash are perfect!